Coming from a fitness background as a personal trainer and group fitness instructor, Gail’s early classes moved quickly and were totally focused on asana. These days Gail prefers to slow down, focus on breath, and utilizes asana as tools to manipulate the energy bodies. By the end of class you are ready to turn inward and sit in meditation to complete a well rounded class. 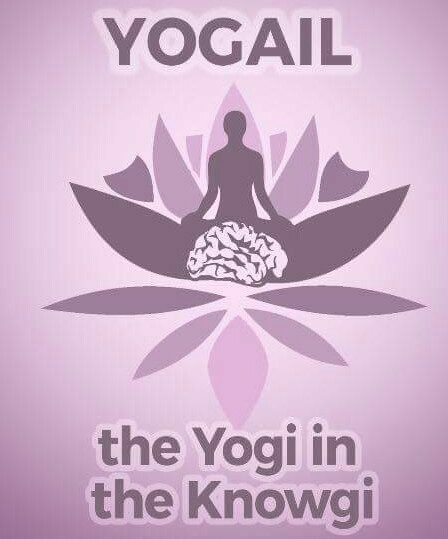 Gail Witte, creator of YoGail Studios, teaches Hatha Yoga classes, influenced by Iyengar with an emphasis on Alignment. Her early influences are Judy Smith, Gail’s first teacher at the local community center in Maryland, as well as Lucinda LaRee, head of the first 200 hour yoga teacher training she attended in Washington D.C. in 2007. Fast forward nine years, and Gail found herself living in Upstate NY and enrolled in the Yoga Vidya School, headed by Lauren Toolin who is an initiate of the Sri Vidya Tradition and who studied with Rod Stryker and Rodney Yee. It was through Lauren’s teaching, anchored in ancient text and tradition, that Gail was able to redefine her personal practice, which is essential to her own teaching process. By digging deep and rising up, Gail was able to create her authentic voice, which strives to inspire her students to find their own voice. I have been doing yoga off and on for several years. Gail will gently tweak my poses and it makes all the difference. She can see a minor technical adjustment that needs to be made and will help me execute each pose better than I ever have. Gail is friendly, easy going and makes the hour fly by. I’m loving yoga again and I have Gail to thank for it.